I am also giving you upgrades on the pictures with back cover scans as some of them seem to be mine from years ago. One does not simply ASK for a custom title. I agree. There arn't enough anti-marijuana Canadian comics. Thanks for all of these pics, Juggernaut! I appreciate the upgrades on a few scans I have on file. I also am very happy to see a French copy of Skoodi (as I was unaware it existed). I had not added Arctic Comics due to the fact that it has a cover price, but given that it is a souvenir comic (from Nick Burns of Super Shamou fame), it's worth adding to the pile. Cheers! Juggernaut's addition to the list of "Pacific Rescue" and "The Sea Pirates," coincidentally anticipates what I intended to show in my next post. One of the bizarre things about the giveaway era is that the output of comics from British Columbia all but disappeared. This is bizarre because of the fact that Vancouver's Maple Leaf was one of the dominant Canadian comics publishers during WECA and that by the early 1970s, Vancouver became a hot spot for the Underground Comix movement due to the work of Rand Holmes, George Metzger, Brent Boates and Bob Hunter for Georgia Straight. When the Canadian comics industry ceased to exist in the mid-1950s, the Canadian Fishing Company of Vancouver hired Walt Disney Studios in Anaheim to create a series of comics in order to promote its "Seal" brands of Tuna and Salmon. 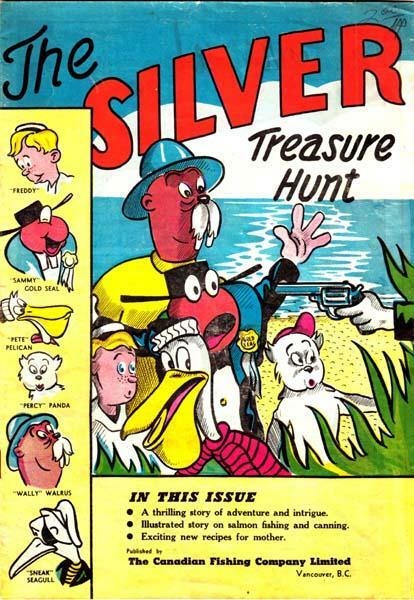 The only other comic from this series that I am aware of is "The Silver Treasure Hunt" which was published circa 1955. 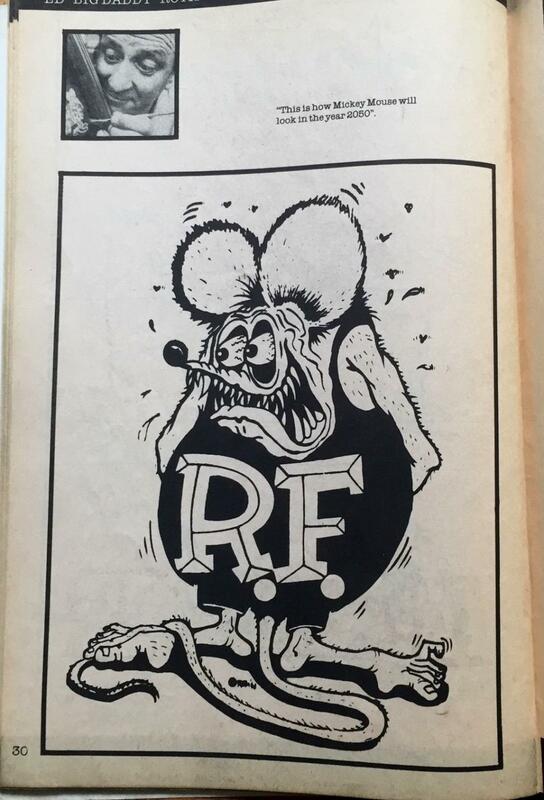 There may have been other comics commissioned from Disney at the time, but the fact that the Canadian Fishing Company had to commission work from Disney goes to show just how limited their options were in Canada at the time. If you have any others, I'd love to see them! 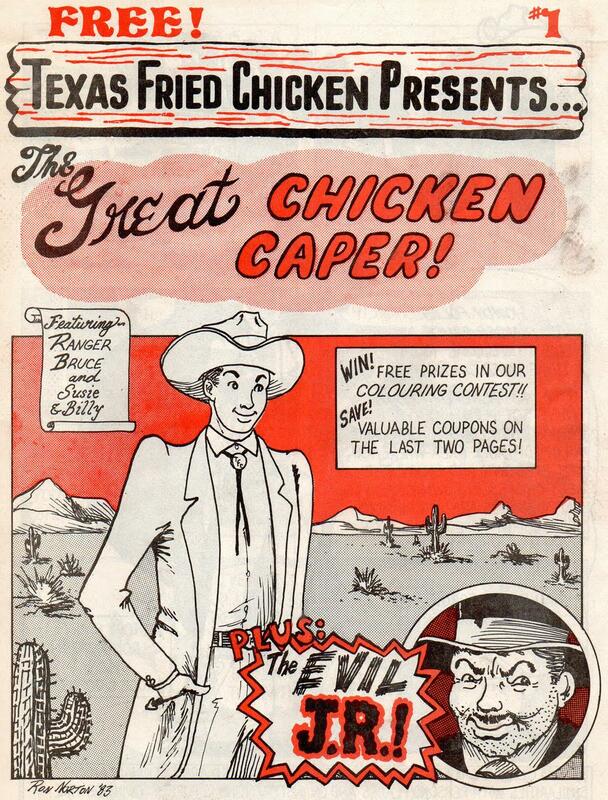 The next giveaway comic that I have been able to identify from BC is "The Great Chicken Caper" published in 1983 for Clark's Chicken Coop. The art is by Ron Norton, owner of the of Shuster Award winning shop "The Comic Shop," which is one of the oldest comic book stores in Canada. 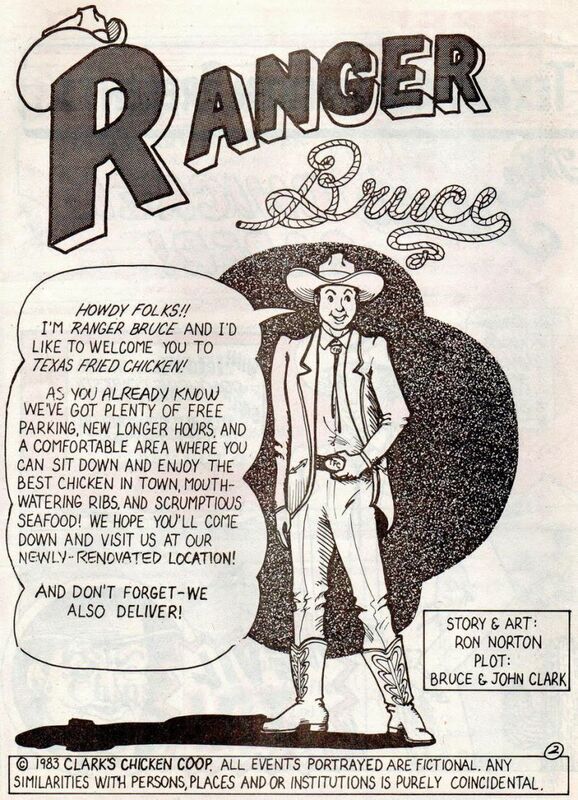 The story was by Bruce and John Clark, who owned the restaurant in question. Thanks to fellow board member, Reverend, for bringing this one to my attention a few months back and providing the pictures. 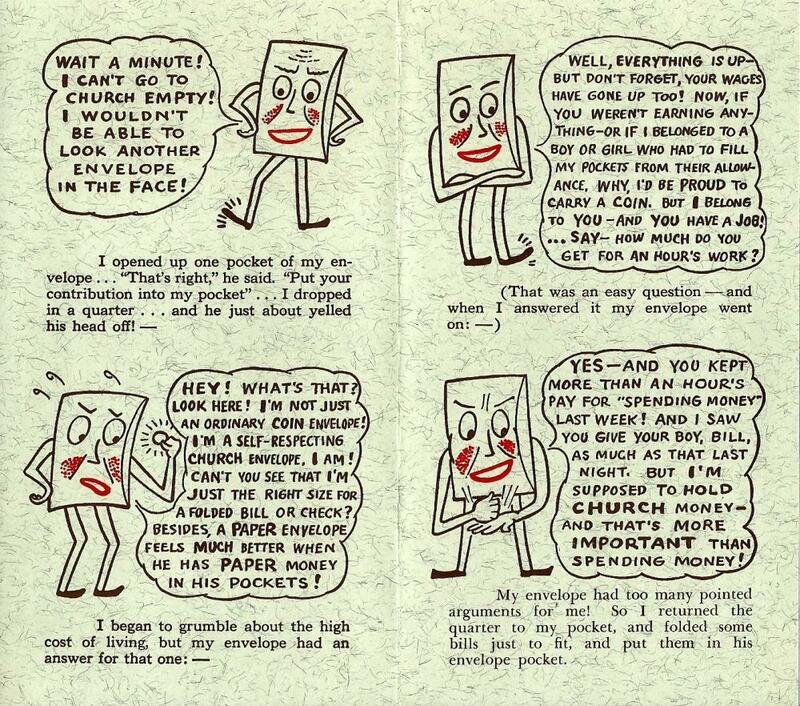 I hesitate to call this four page mini-pamphlet a comic, but it certainly is comic-like. This is a really bizarre giveaway from the United Church that came out of Toronto and is an attempt to guilt church-goers into giving the church more money. 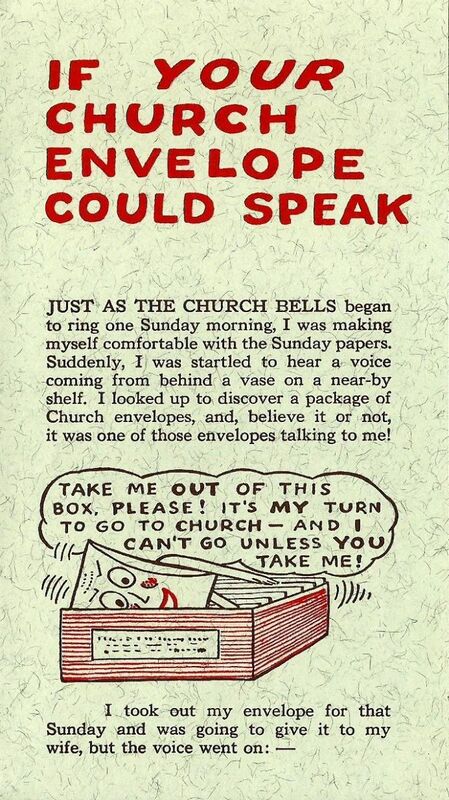 This is from the late-1960s. 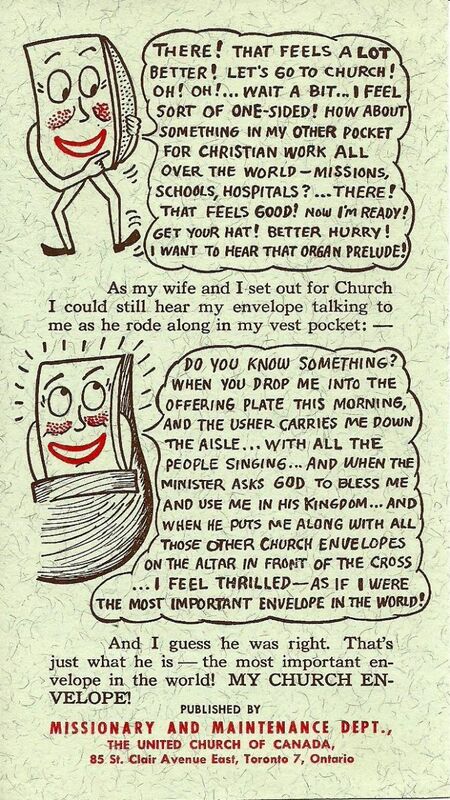 For your entertainment, "If Your Church Envelope Could Speak." Thank you from the bottom of my heart. I'm having a rough day and this thread has lifted my spirits. Amazing info. Enjoying the Shamou Enuit shorts. Glad to be able to brighten your day! Those Super Shamou shorts are a lot of fun. How can one talk about comics during the later Canadian Silver Age without talking about Chester Brown? The next two giveaways that I will show feature some of Brown's work. The first is a giveaway that was a tie-in with the documentary film of the same name, "Comic Book Confidential." 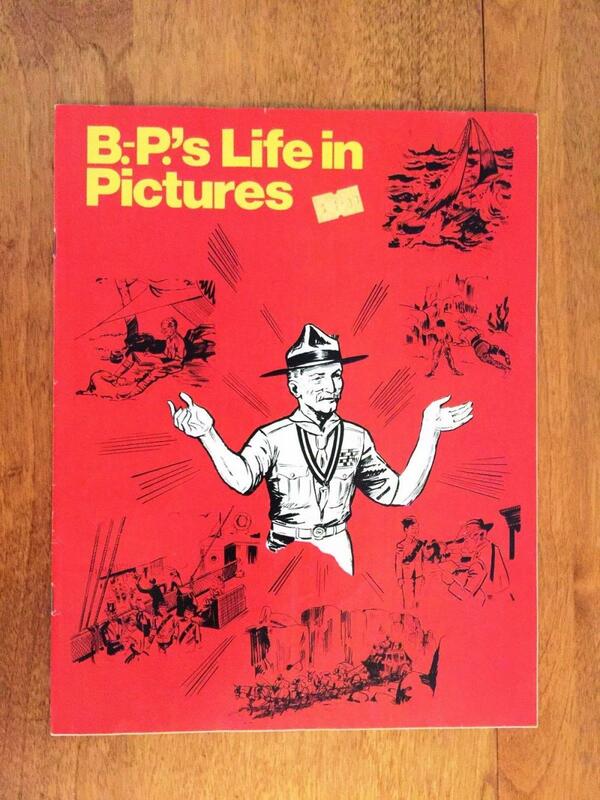 This was published in 1989 by Sphinx Productions. 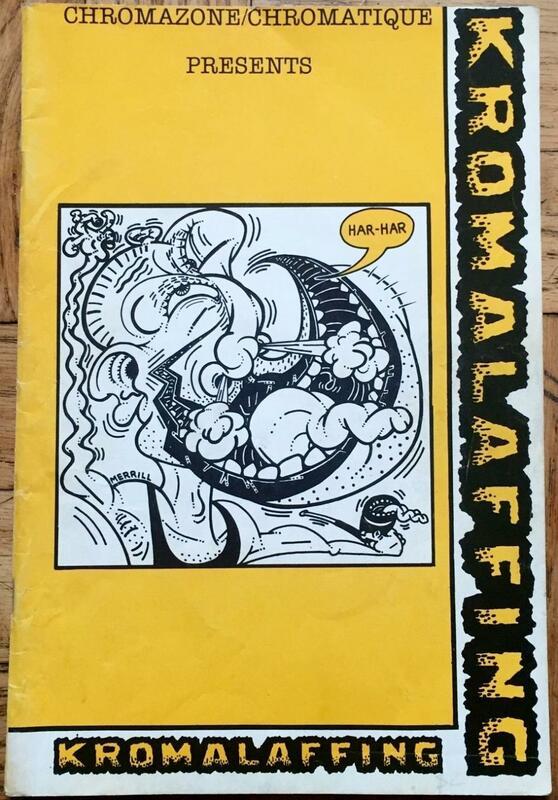 Next up, "Kromalaffing" from 1984. 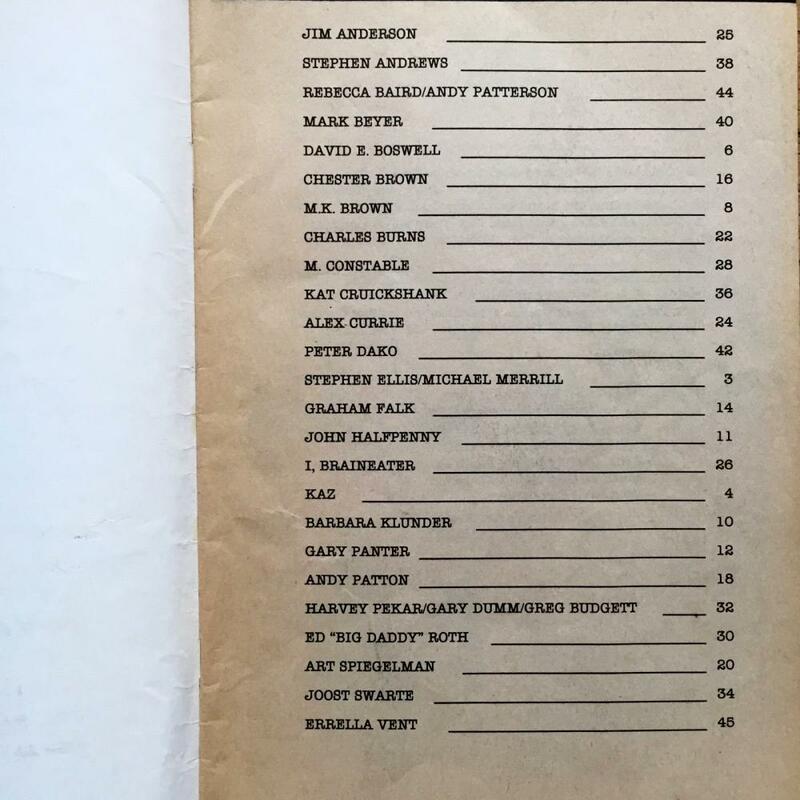 This was an exhibition catalogue given away at the ChromaZone/Chromatique's "Kromalaffin" art show held at Toronto's Grunwald Gallery. 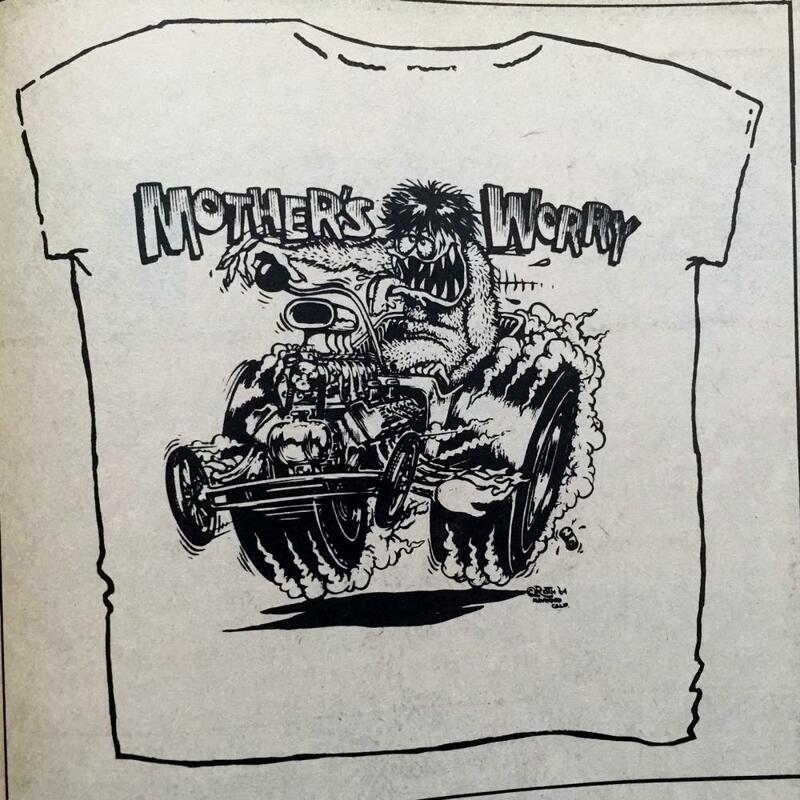 This an art show focused on comic book creators and was curated by Michael Merrill (who was involved in creating several obscure Canadian comics during the era). 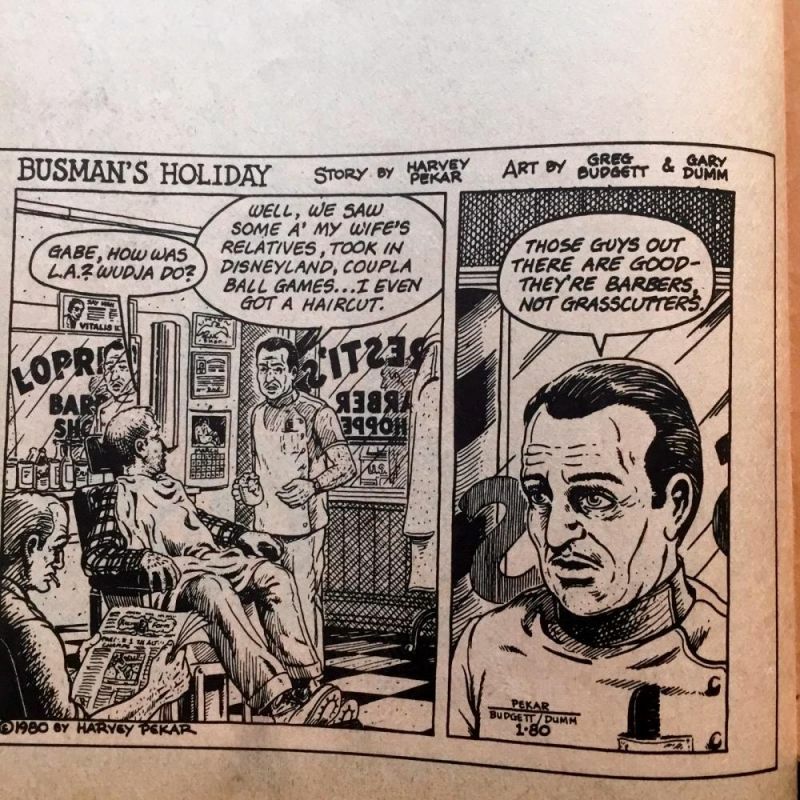 The catalogue includes comic strips and sketches from a venerable list of alternative comic creators from the era, including Americans like Harvey Pekar, Charles Burns and Art Spiegelman, as well as Canadian artists like David Boswell (of Reid Fleming fame), Chester Brown and Peter Dako (who did "Casual, Casual"). 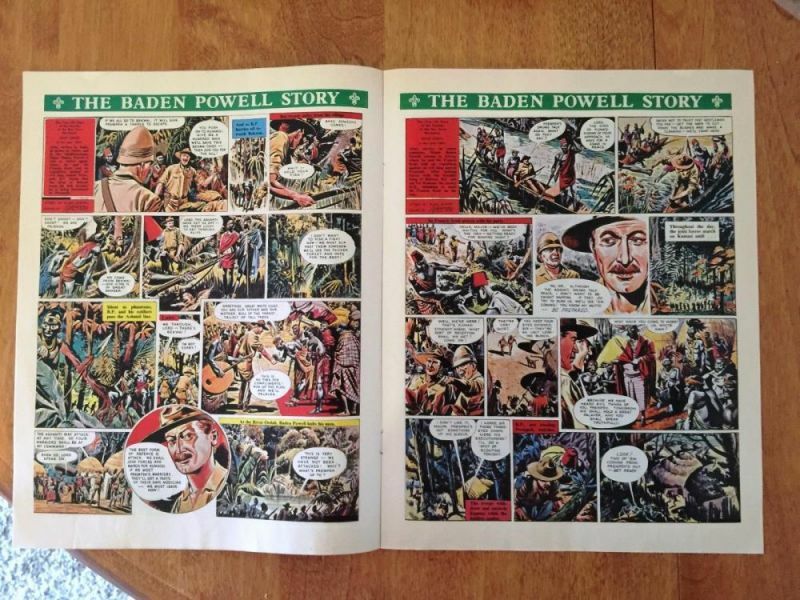 Part comic book, part art exhibit catalogue, this one can be pretty hard to track down for a reasonable price. 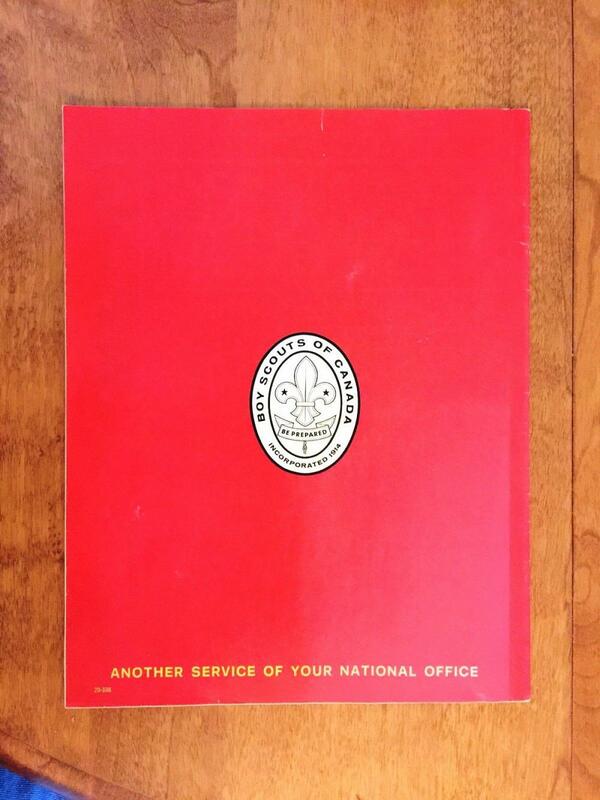 Here are some images from a current eBay listing. Kromalaffing wasn't the first art exhibit catalogue/comic book hybrid giveaway in Canada. 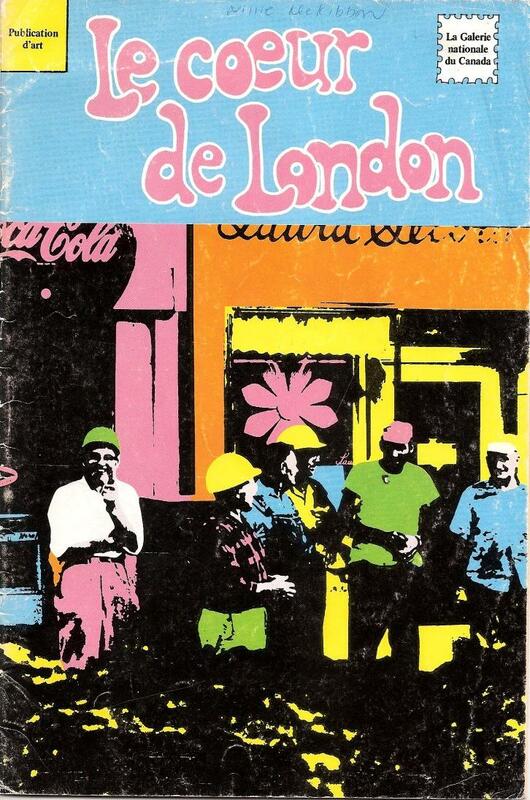 In 1968, Northern Miner Press published "Heart of London" (also available in French as "La Coeur de London"). Heart of London contains comic book style profiles of the artists who were involved with the art show of the same name, which travelled to various art galleries around Ontario as part of the London Regionalism art movement. 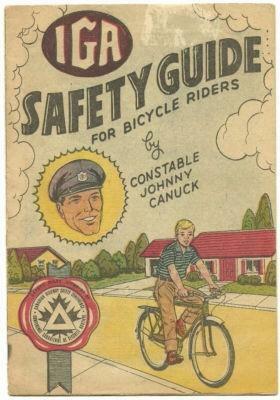 Some of the artists involved include Don Vincent, John Boyle, Jack Chambers and Greg Curnoe (who died tragically in 1992 when a distracted driver plowed into a group of cyclists). Here are cover scans of both versions. "Heart of London" wasn't the only time that the National Gallery of Canada was associated with a Canadian giveaway comic. 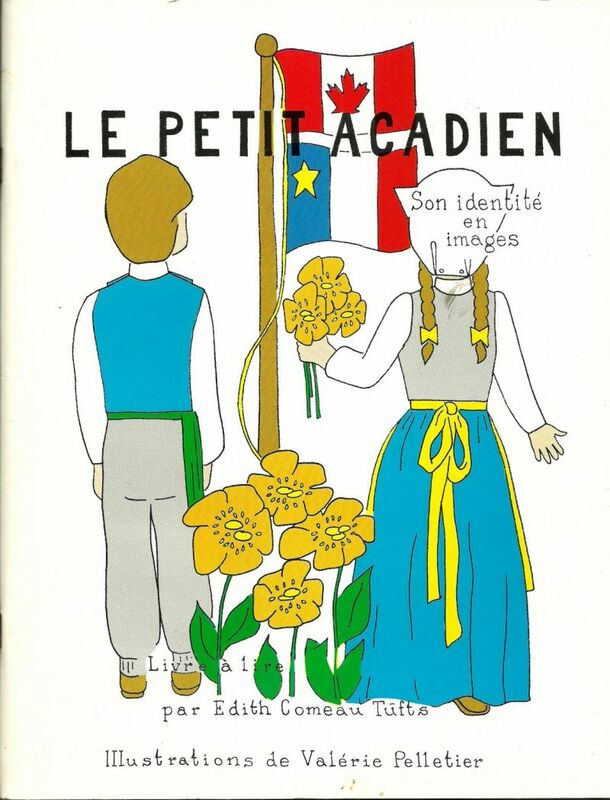 In 1972, the National Gallery curated an exhibition entitled "Comic Art Traditions in Canada, 1941-45." This was an outgrowth of Michael Hirsh and Patrick Loubert's The Great Canadian Comic Books project. The travelling exhibition focused on Bell Features artists and a mini version of Triumph Comics # 29 was printed and distributed to attendees. 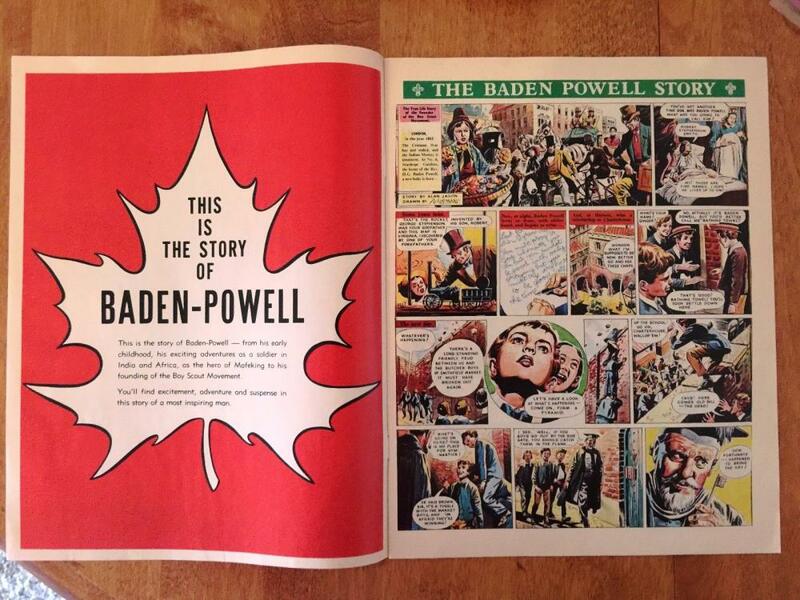 According to John Bell, the first Canadian giveaway comic was published in 1948 by Jack Boothe of Leaside, Ontario. 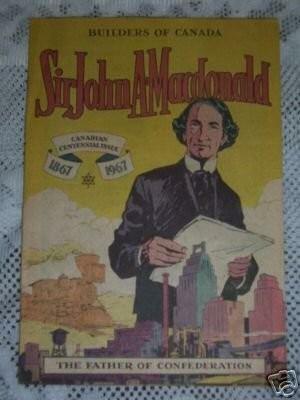 As this comic is firmly in the FECA-era of the Canadian Golden Age, I hesitate to post it here. It's still an interesting look into the first of many giveaways to come. This was made as part of a membership drive for the Co-operative Commonwealth Federation (which eventually became the NDP political party). 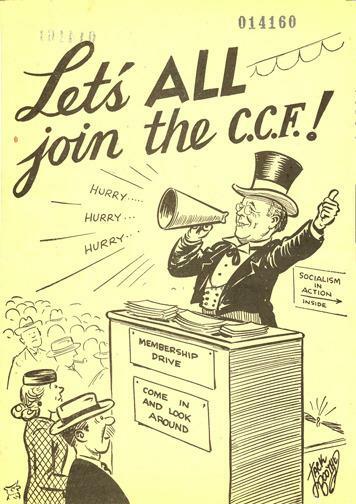 Here is "Let's All Join the C.C.F." 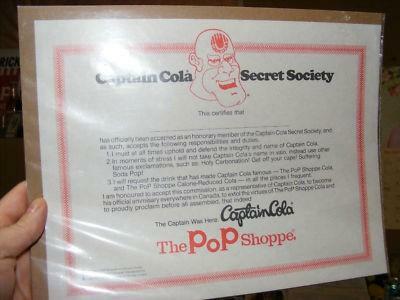 In 1975, a comic book called "Captain Cola" was commissioned by the Pop Shoppes of Canada. 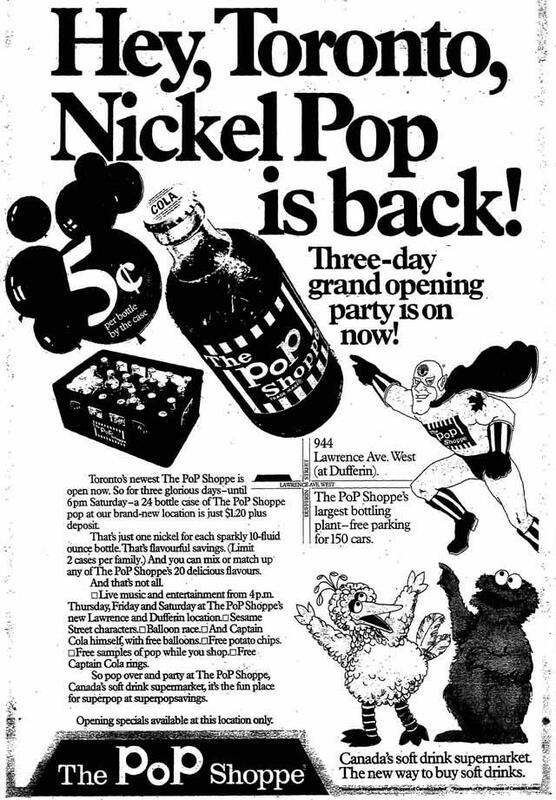 I have not been able to find an example of this comic, but I have found an advertisement and an example of the Captain Cola Secret Society membership card. If anyone has a scan of the comic, I would really love to see what it looks like. Here are pics of a few more Ganes books. Due to their rarity, I have only been able to secure old, small scans from eBay sales from years ago. I know very little about these particular comics. 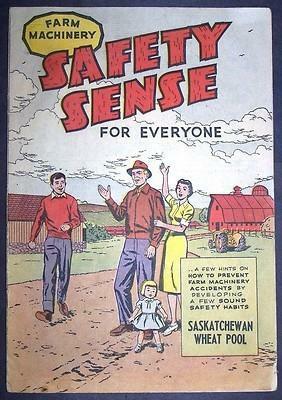 Another early one, from 1960: "Farm Machinery: Safety Sense for Everyone." I have confirmed that two versions exist. One is from Manitoba Pool Elevators, but I have not found a scan. 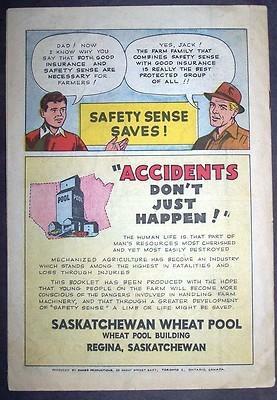 The other is from the Saskatchewan Wheat Pool, which I present here. Other versions may exist. 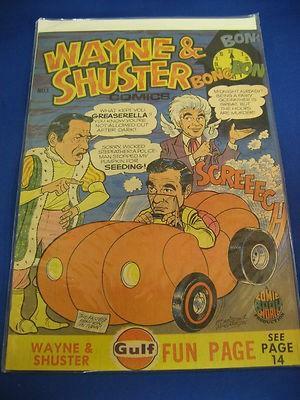 Finally, here is an image of another McCarron comic called "Wayne and Shuster Comics." 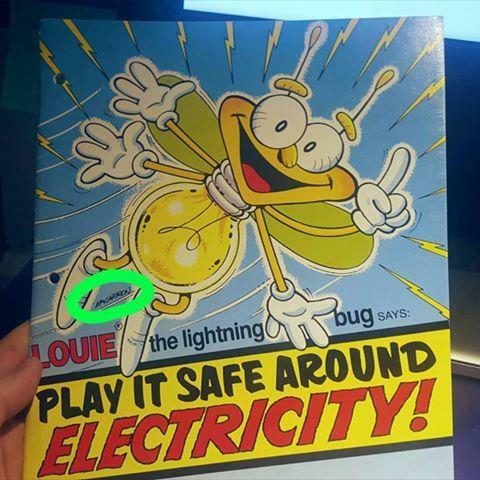 I recently learned that Owen McCarron created Louie the Lightning Bug. The character was prominent in Canada and the United States in the 1980s. Here is what I believe is the comic that McCarron produced (though there were coloring books and other merchandise from this era, so I cannot confirm that this is indeed the comic). The PSAs featured the voice of Jack Sheldon, who many will remember from Schoolhouse Rock! 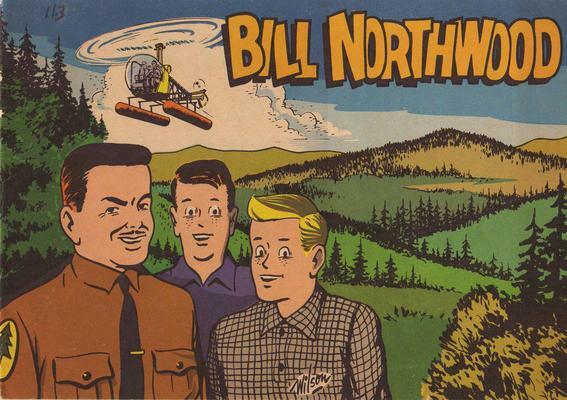 Here is a particularly scarce comic published by the Canadian Department of Forestry and Rural Development in 1968 called "Bill Northwood." The comic is about the eponymous character arriving at a park as the new resources manager at the beginning of forest fire season. The art is signed by "Wilson," but I have not been able to figure out who this is. It is doubtful that this is a Ganes comic, but without further information I suppose that it's possible.